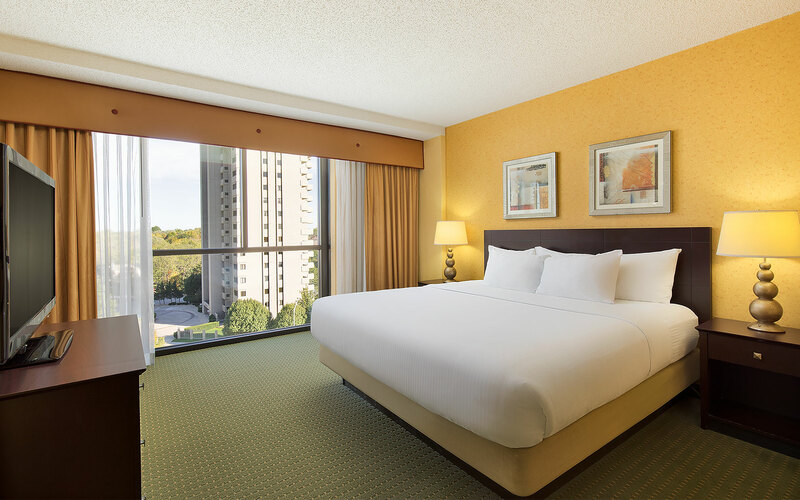 Get comfortable and relax in our contemporary rooms and suites, close to Springfield’s top city attractions. 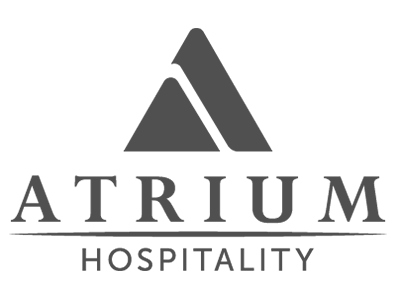 All our 267 rooms and suites include a coffee maker, work desk and chair, complimentary Wi-Fi, and granite top bathroom vanities. Warm interiors, designed with dark wood furnishings, warm neutrals and jewel tone accents combine to offer a welcome city retreat. Save $4 per person when you book now! Start your day off with our hot breakfast buffet. Add an all you can eat breakfast buffet in the Terrace Grille, featuring cooked to order eggs and omelets. Enhance your stay with our decadent chocolate covered strawberries, delivered fresh to your room. We love dogs. If you are bringing your pet, let us know! We allow pets up to 50 pounds on our pet friendly floors. Pet fee of $50. Plan to start your stay early with an 11am check-in. For an additional $25.00 plus tax you may guarantee check-in as early as 11am on your day of arrival. Perfect for families, our Double Bedroom is equipped with two comfortable queen beds, a writing desk and chair, upholstered chair and a private bathroom featuring a granite top vanity. 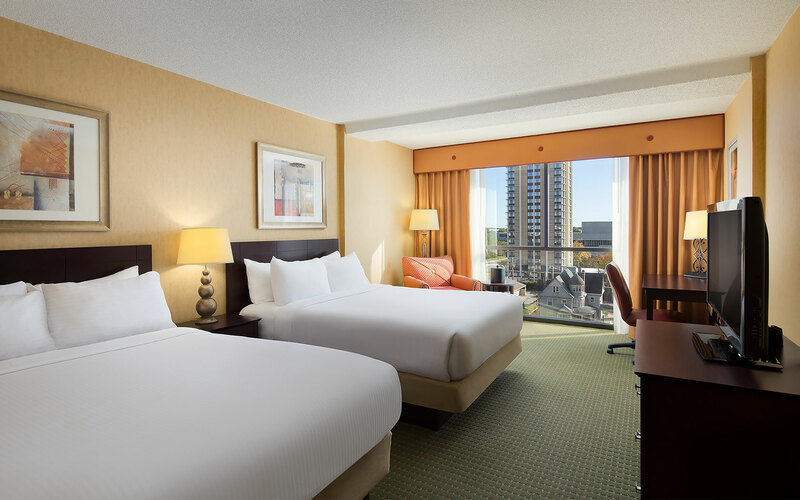 Furnished with all our standard in-room highlights including in-room coffee maker and complimentary Wi-Fi. With a private bedroom featuring a plush king bed, en suite bathroom and an adjoining living room, our One Bedroom Suite blends modern comfort with a little added space. Select rooms are outfitted for full accessibility. Please contact (417) 864-7333 to confirm your stay in an accessible accommodation. Our modern and upscale Presidential Suite is the ideal executive or family retreat. Two well-appointed bedrooms, each feature their own private bathroom. The Master bedroom is furnished with a luxurious king bed with a large master bathroom, featuring a double vanity with granite countertops. The second bedroom is equipped with a queen bed, writing desk and chair. Perfect for hosting friends and family, the living area includes a comfortable seating including sleeper sofa and dining area with a wet bar, fridge and microwave.